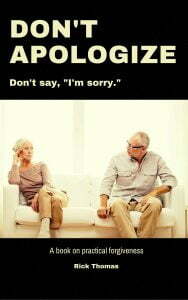 Don't apologize. Don't say, "I'm sorry." Don’t apologize. Don’t say, “I’m sorry.” – (28,000 words) – Forgiveness is one of the hardest concepts for the Christian to come to terms with, particularly when it has to do with being hurt by someone. Relational conflict puts both the offender and offended in the danger zone. No matter how we slice it both parties are called to action. Mercifully, the Gospel cuts both ways: The offender and the offended can be free from the entanglements of relational fallenness. But it comes with a price. This book will be a hard read for many people, especially if it’s taken to heart. I will be dealing with thirteen aspects of the unforgiveness to forgiveness continuum. These are some of the common issues in which we all struggle. 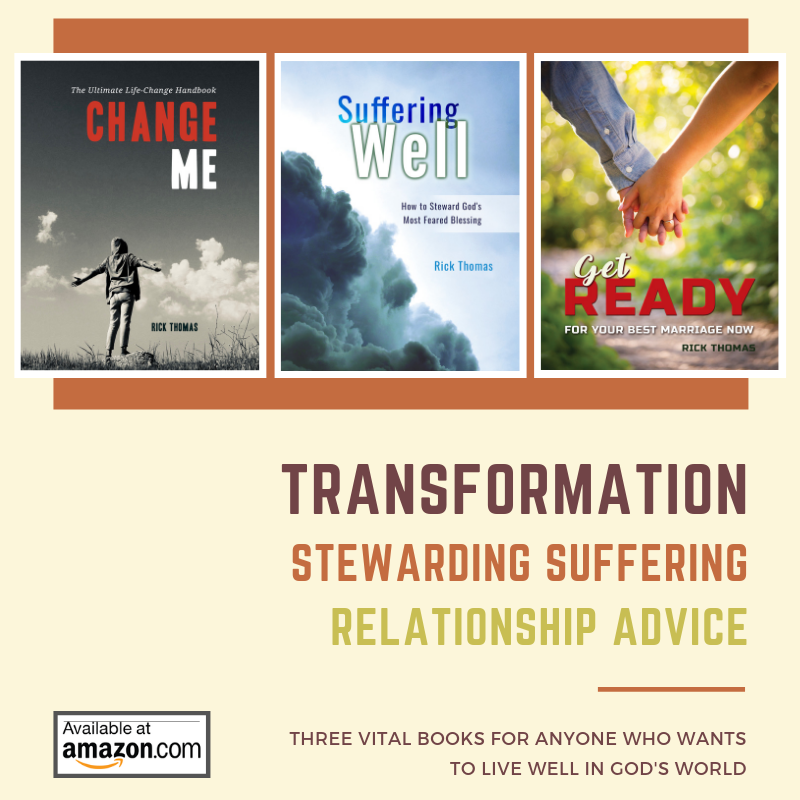 I trust this work will help you. It has helped me.Though I have not perfected the content in this book in my life, I am striving each day to practically apply these truths. My prayer is that you will be able to walk a similar path with me.